What is the Best Publishing Option For Your Book? You have decided that you want to become a published author. That’s your goal. Maybe you’ve already written a book, but maybe you haven’t made it that far yet. What matters is that you’ve made a conscious decision and you have a clear idea of what your setting out to accomplish. As with any type of success, over half of the battle is changing your mindset and finding the determination to make your dreams become reality. Publishing books is no exception to this. The next step is figuring out whether it makes more sense to choose the traditional publishing route or to self-publish your own book. There is no “one size fits all” answer to this question, as every situation will have unique factors to consider. Today we’re going to talk about how to choose the one that is best suited to your needs as a new author. As with many other industries, the book publishing business is most interested in books that are likely to make a profit. Large New York publishing houses have decades of data from book sales and they use this to make predictions about which books are likely to have mass appeal. With no shortage of aspiring writers and authors, publishers simply wouldn’t have the time or resources to handle all the incoming manuscripts and sort them into a slush pile and one that was worth a second look. Since doing this would be unrealistic, hopeful writers instead must send their manuscripts and masterfully crafted query letters to literary agents instead. These are known most commonly as the gatekeepers. The role of a literary agent is diverse. They work for both the publisher and the authors they represent, reliving the first of the incoming flux of manuscripts from unknown writers and helping the second land a publishing deal. Often a literary agency has several agents employed and each of them specializes in specific genres and sub-genres. For example, a particular agent may only consider queries for fiction books that are categorized as romance novels. It’s important to ensure you pitch the appropriate agents for your book. Entire volumes have been dedicated to this process, most notably Writer’s Market which is published annually and provides an extensive list of literary agencies along with their corresponding genres, contact info and submission preferences (electronic, S.A.S.E). However, it’s a tough business and the majority of writers seeking an agent should expect more than their fair share of rejection letters. These can be quite discouraging, but it won’t keep your book from becoming published — only you can decide if you will fail at achieving your goal. For those who manage to capture the interest of an agent, expect to sacrifice around 15% of the proceeds from domestic sales that result from any publishing deal they work to secure for you. Self-Publishing – A Solution or More Obstacles? Many would have you believe that self-publishing is the solution that ends all of your rejection letters and will deliver on the fame and fortune you deserve as a budding author. However, that’s not a realistic claim and doesn’t represent the outcomes of most authors who choose to self-publish. Yes, it’s true that self-publishing is a more viable option today than it was in decades past, and it has effectively evened the playing ground in the publishing industry to an extent. More authors have a chance to make a decent amount of money based on the merits of their writing, as decided by the readers themselves rather than agents and publishers who care most about profits. Trying to score a traditional publishing deal can be thought of as similar to trying to get signed on a record deal as an aspiring musician. How often does that happen? When it does, they have a limited number of chances to prove their worth before they are dropped and forgotten. In other words, it’s a highly competitive market with an abundance of new talent that exceeds the limitations of established companies who work with artistic and creative people. If you accept that getting a shot in the traditional sense is unlikely, then it makes sense to embark on a mission to find your own success. If you’re a musician, you might start a YouTube channel and if you’re an author you might do it by self-publishing your book instead. Just like a serious musician would have professional recording equipment and other tools of the trade to ensure quality, an author needs to understand all that goes into a successful book and deliver on all those things which readers expect from the books they already read. In other words, don’t write a single draft and self-publish it with no cover art. It might as well have never been published and you will not be any better for having done it. In fact, it may even hurt you rather than work in your favor. What if there was a third option that helped to address the shortcomings of both traditional publishing and self-publishing? Fortunately, there is. This is especially true for professionals who have expertise in their niches and who have already established authority and found success in their business. These types of people are prime candidates for what we will call a “hybrid” form of publishing. All successful people have valuable knowledge to share with readers and therein lies a book worth writing and publishing. It also makes it less difficult to devise an effective book marketing and promotion strategy by leveraging your existing infrastructure as a professional in your field. 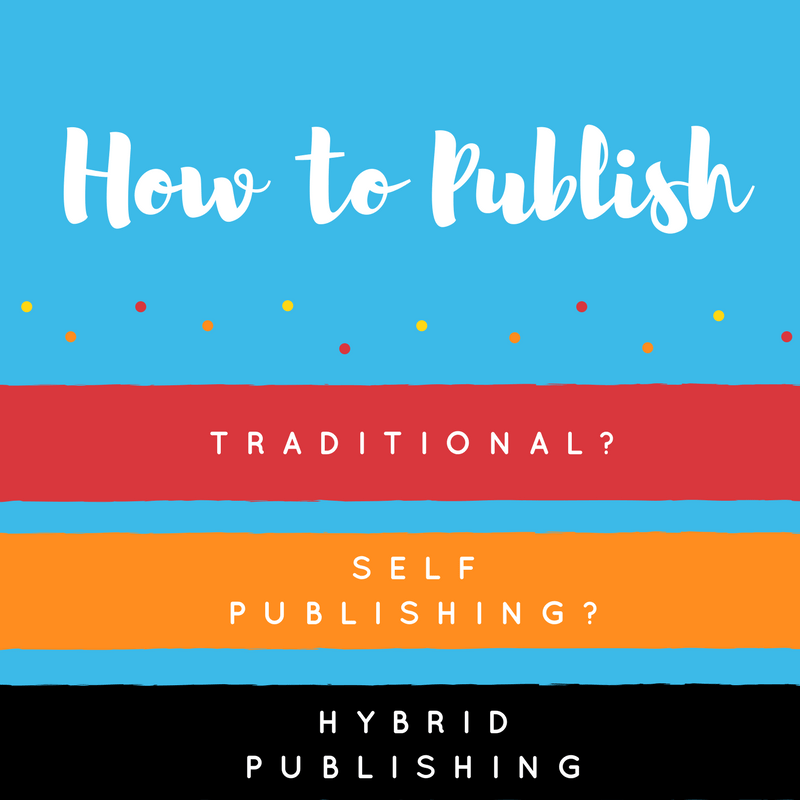 Hybrid publishing means you essentially set out to become your own publishing brand, rather than brand yourself as a self-published author. It involves calling in experts for each aspect of publishing — everything from cover artwork and editing to market research and ghostwriting in some cases. It’s the evolution of self-publishing and reserved only for those serious about their success as an author.